Are You an Aspiring Game Developer or Programmer? 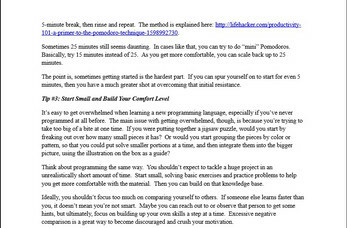 Are you learning programming on your own, attending a code boot camp, or taking a computer science course? 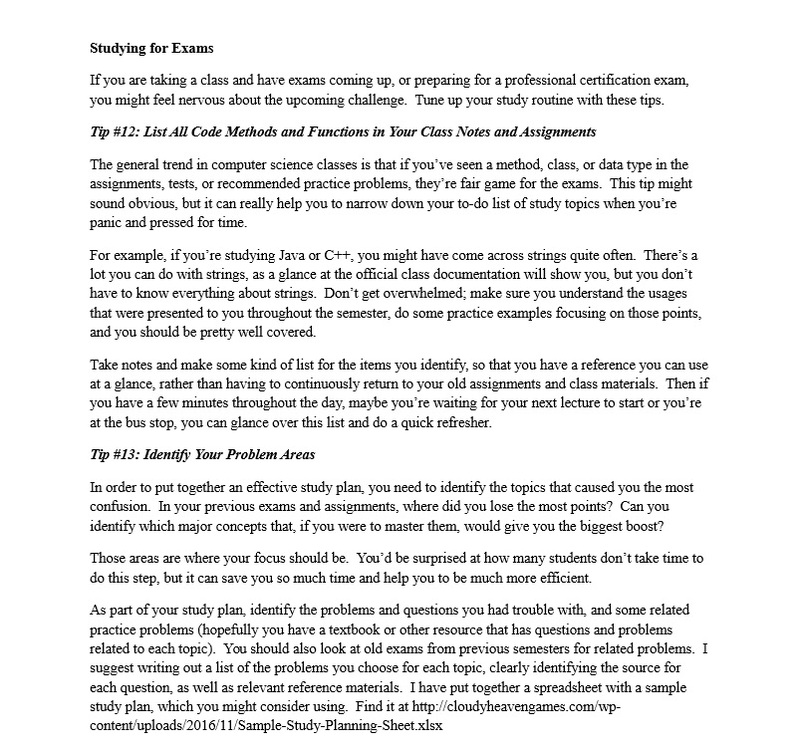 Do you need some help improving your computer science study skills? 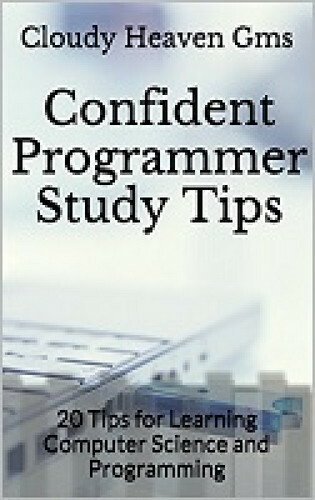 If so, check out these confident programmer study tips! 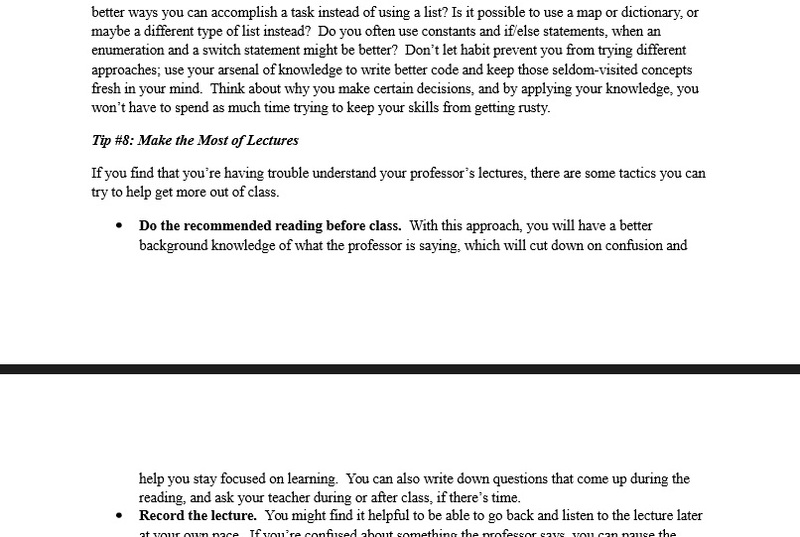 Whether you're studying for an exam in class or learning on your own, this guide has something for everyone. 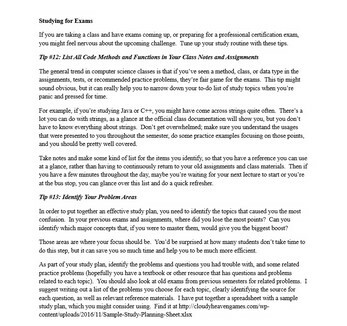 This quick, short guide provides twenty computer science study tips to help you tune up your study routine, learn and retain more, and feel more confident in your abilities. 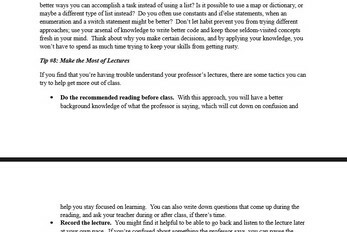 As a tutor, a student, and a software developer, these are tips that I’ve used for myself, and for my students, so you can be sure you're getting proven advice. 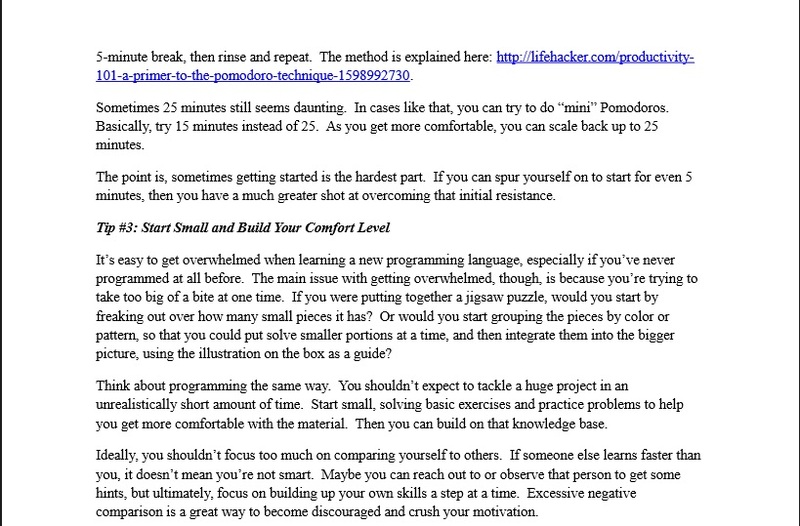 Get started today on your way to better programming skills, and become a confident programmer!